Built in 1997 in Wismar Germany. Her crew consists of 170 members and the top speed is 16 kts. She was previously owned as c. Columbus by Hapag-Lloyd and was replaced by Columbus 2. 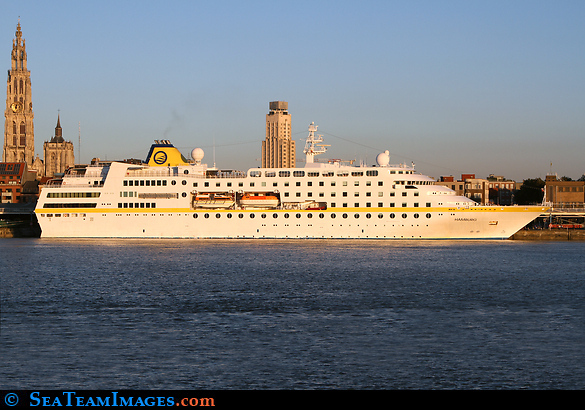 Seen here at rest in Antwerp as it came in from Texel(NL)around noon.